Spring is here, and the garden is full of color – gorgeous pink reds, and beautiful green. 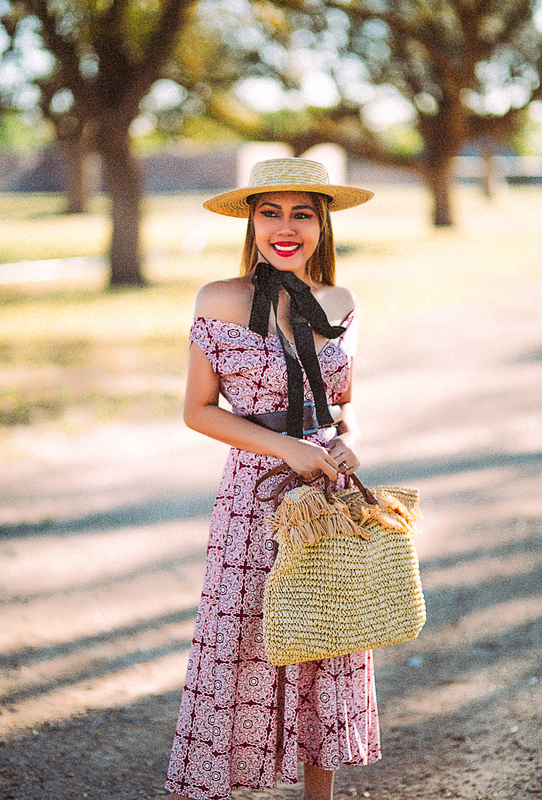 It is also the perfect weather to wear my new favorite Spring Dress and beach hats. A great beach hat has 2 main elements: style & sun protection. There’s nothing worse than coming home from a day at the beach with a sun-burned nose! Shop below my great picks for hats this season. Karina Dresses are made in the USA with their classic styles, gorgeous patterns and vintage vibes. They have so many cute dresses for all occasions and all body types as well as having a vast variety of solid colors and prints to choose from. 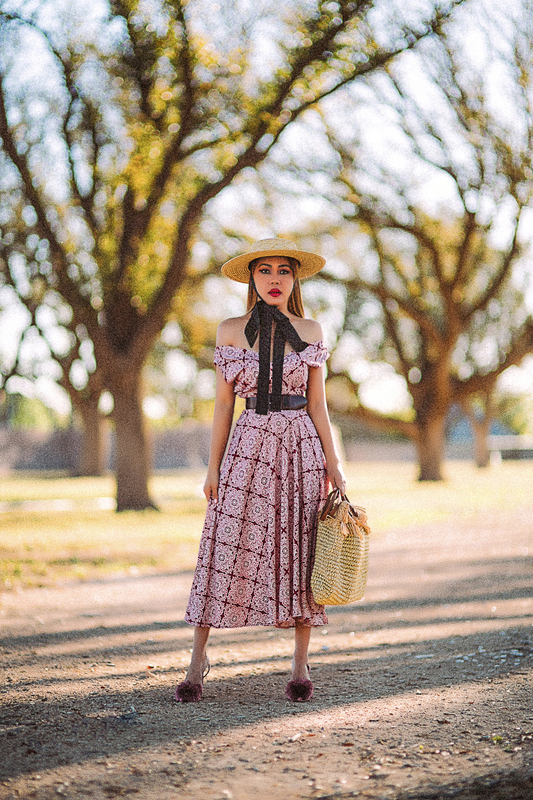 This Abigail Dress in Rose Trellis embodies pretty much everything I love about clothing in one piece–it’s feminine, it’s dainty, flattering and insanely comfortable. All of their dresses are machine washable and they don’t wrinkle at all! This is an amazing feature for a traveler, but it’s also great for busy moms, or any woman who hates ironing or dry cleaning. If you wanna check out their website and Instagram I’ll link them HERE https://www.karinadresses.com and INSTAGRAM. This is a sponsored post brought to you by Karina Dresses. The opinions are completely my own based on my experience. Awesome dress & you are looking pretty. Thank you baby!